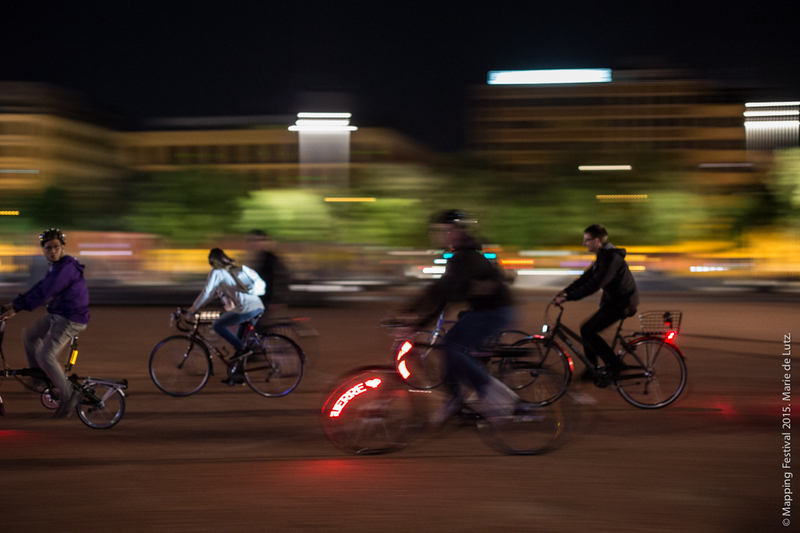 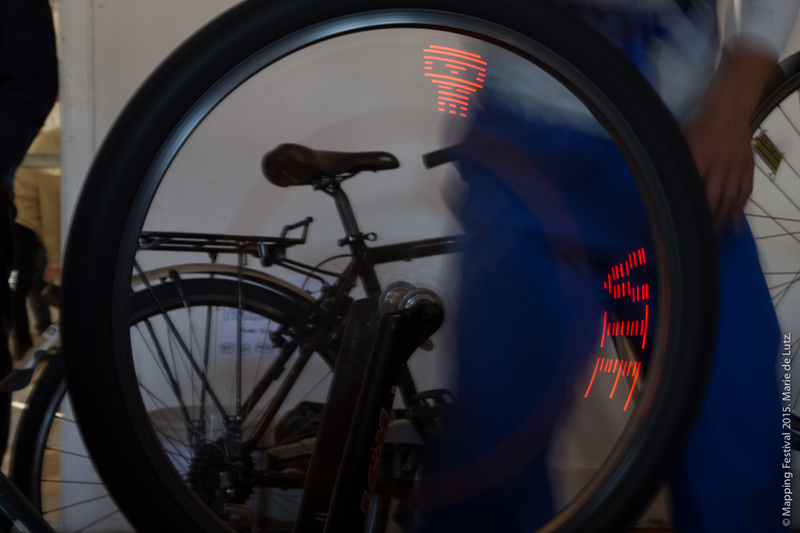 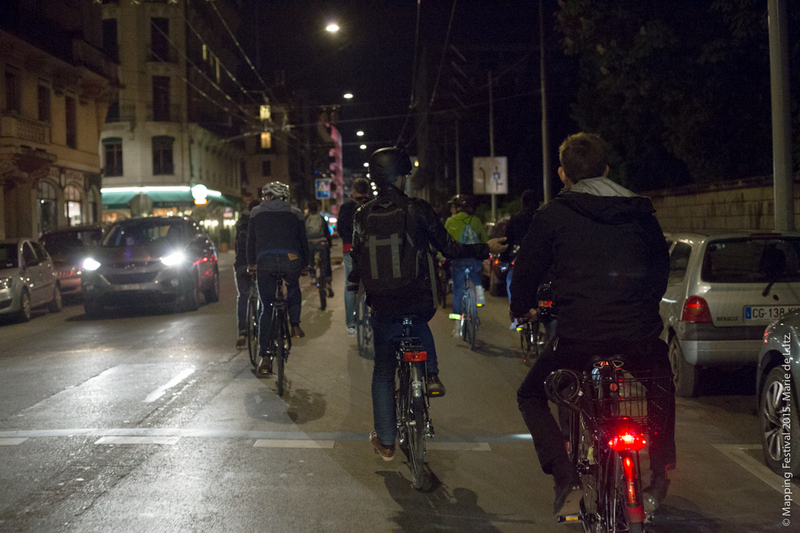 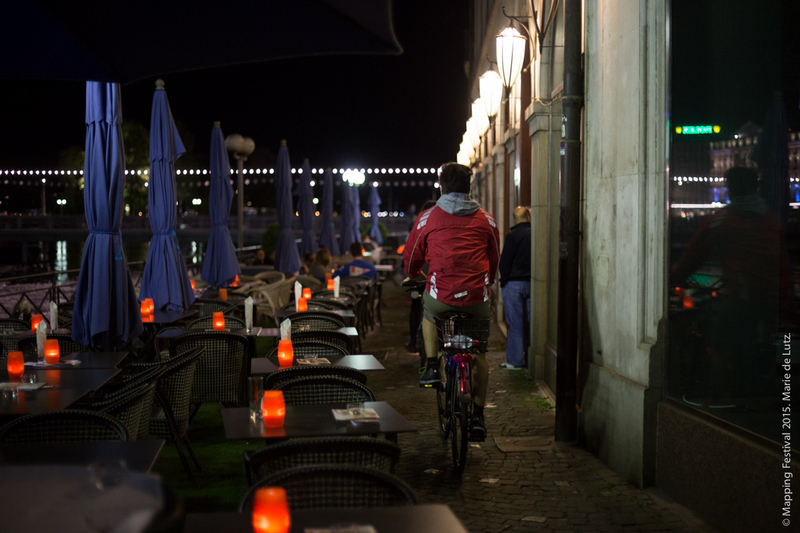 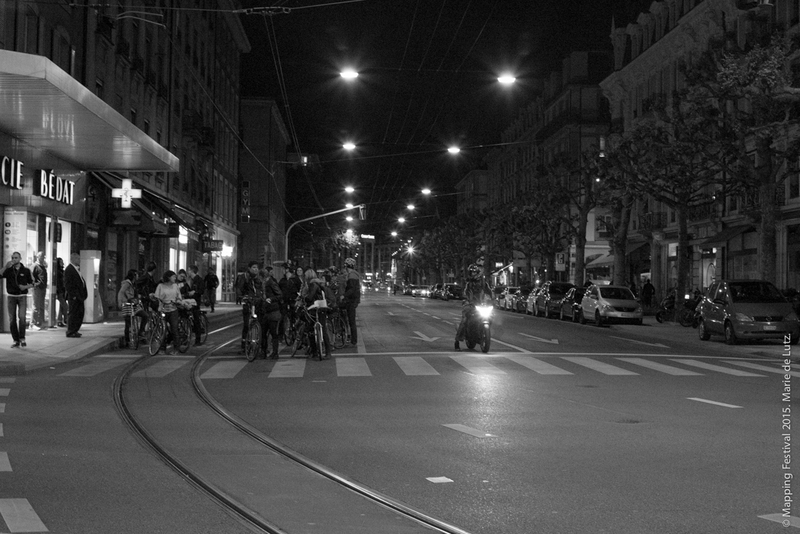 A modest 12 LED circuit, a microcontroller and a battery mounted on your bicycle wheel and the speed of the cyclist allow to illuminate the streets with a poetical-political message. Agit P.O.V. 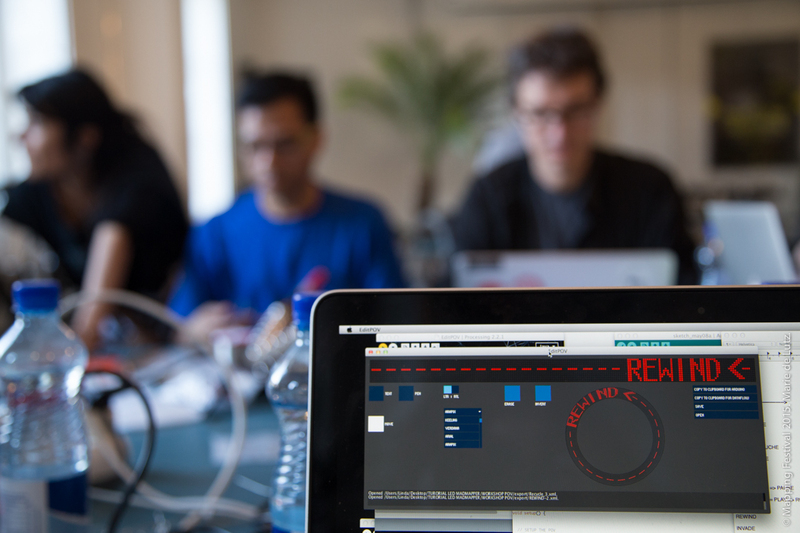 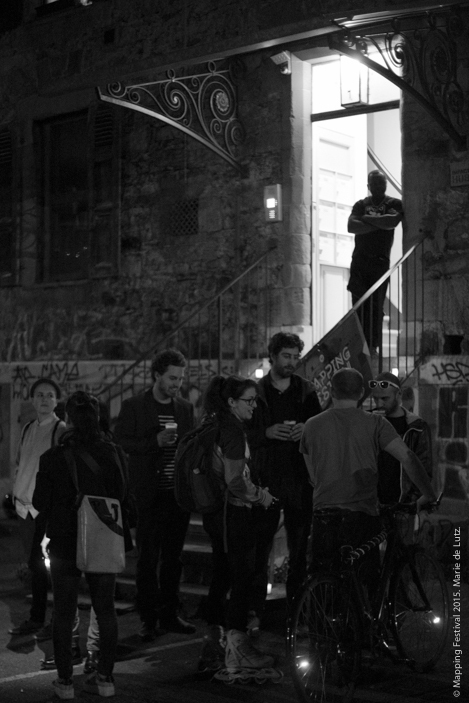 invites participants to a workshop and textual performance in the streets of the city. 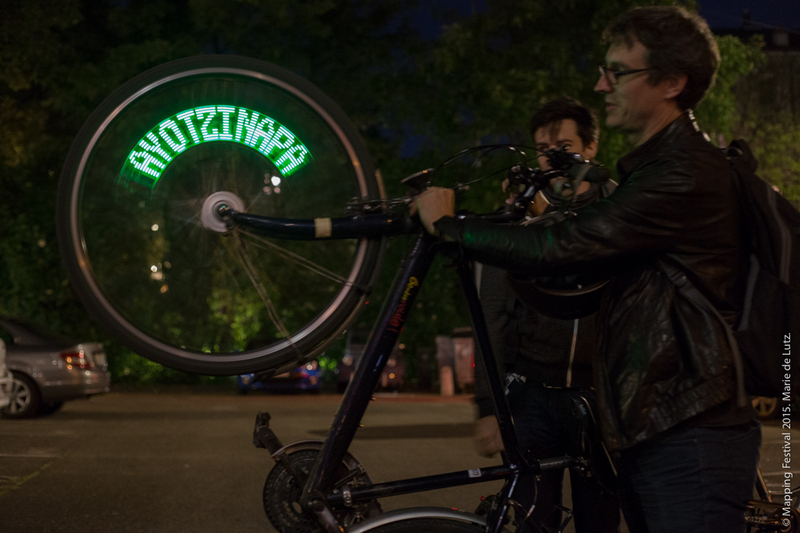 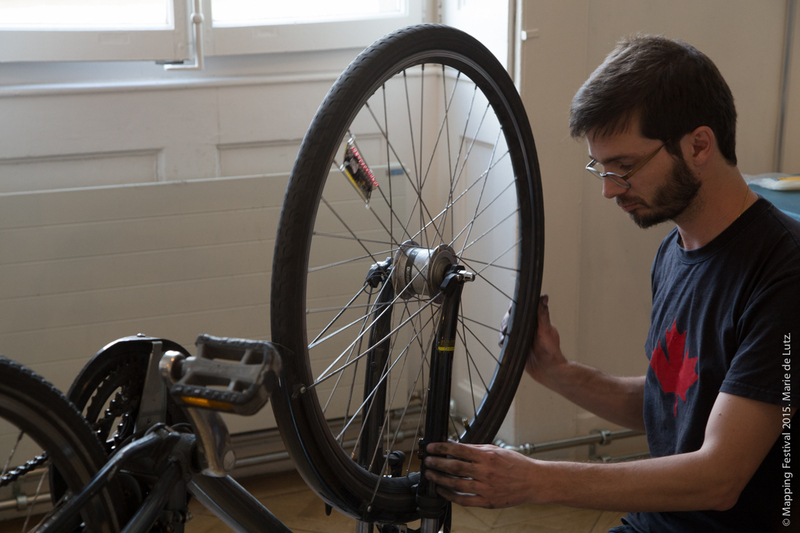 Participants will learn how to weld before making a « Petit Objet de Vélo » (small bike object), deciding what words will be displayed and taking a group outing through the city during the evening. 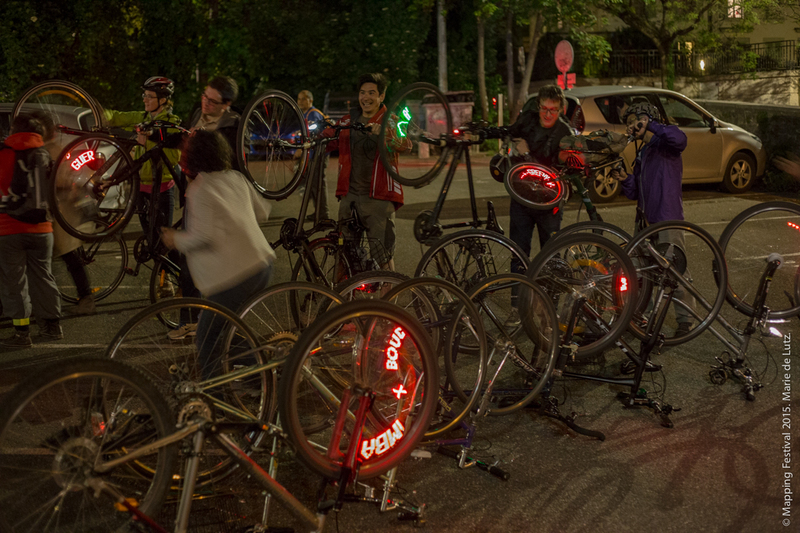 The parade will take place from 10pm to midnight. 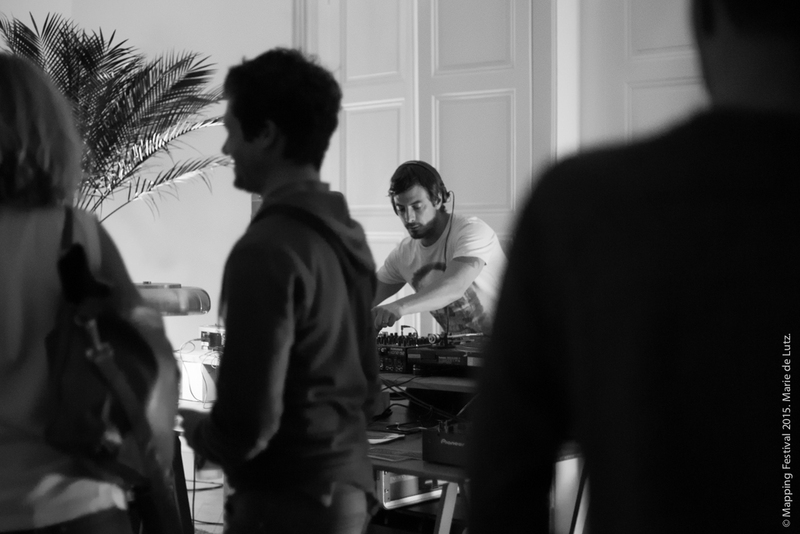 The party will then continue in Impact Hub until 4am, with DJ Dub.